Description: Digitization provided by the USF Libraries Digitization Center. Rare Maps. 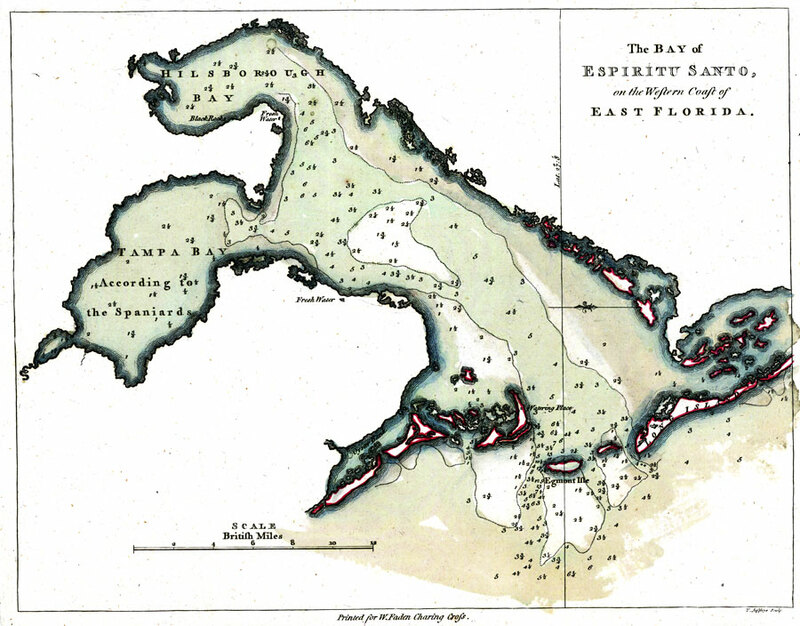 This is a map of the Bay of Espiritu Santo or Tampa Bay area, circa 1777. Some locations are shown such as fresh water, watering places, Black Rocks, Egmont Isle and Long Island. Oriented with north to the right. Relief shown pictorially. Depths of bay shown in British feet for the Bay of Espriritu Santo.